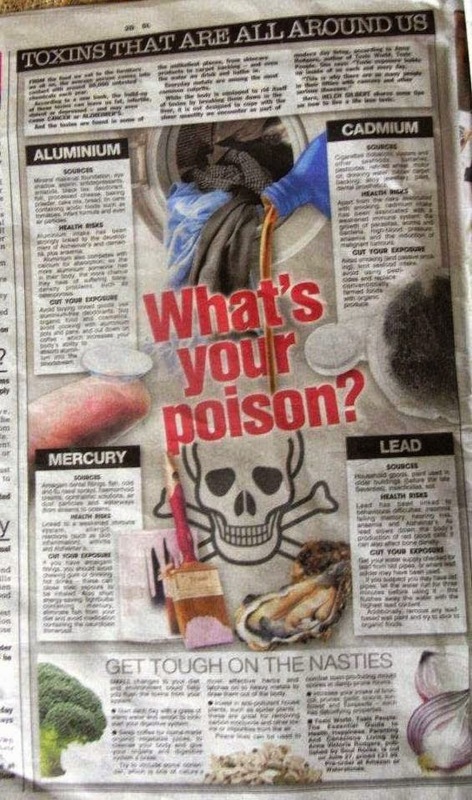 There is a full page in the newspaper telling us of the toxins we live with. It says from the food we eat to the furniture we sit on, the average person comes into contact with 80,000 untested chemicals a year. They list 4-chemicals as example, Aluminium, Mercury, Cadmium and Lead, these chemicals are in our food and household items. Aluminium is found in: Make-up foundation & eye shadow, Aspirin, antidepressants & antacids, Black tea, Processed cheese, Baking powder, Cake mix, bread, Tin cans containing acidic food such as tomatoes, infant formula and even air particles. They then tell you about the health risks and how to cut your exposure. What amazes me is we are forced to consume most of the items of food listed due to our need to eat to survive. Cadmium is found in drinking water, how on earth can you avoid Cadmium if it comes through your tap! In a dry continent like Australia the householder is encouraged to connect a tank and collect rainwater for personal use. However, that water must only be used to flush down the drain because it is classed as unhealthy to consume. 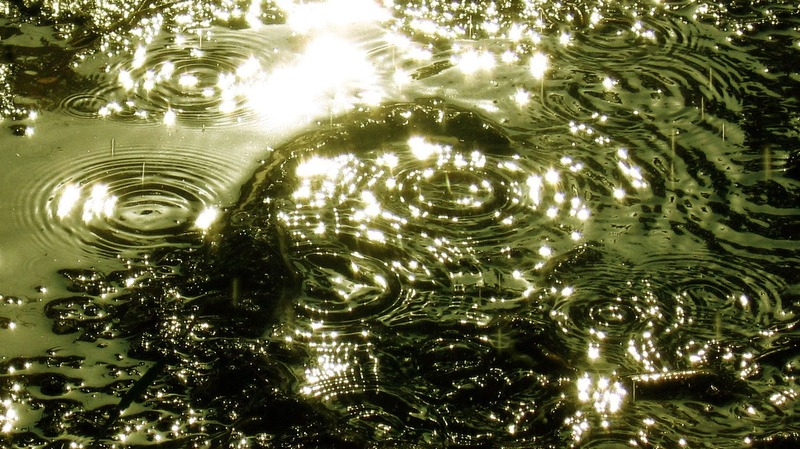 So how can a sewage treatment plant produce consumable water? Would you believe what you are told? To me this is another page of fear; there is not a lot we can do about the food we eat or the cleaning items we use, most of us are forced by income to take the cheaper and probably unhealthy brands. We are told to eat more seafood`s then we are informed this is also a source of Cadmium and Mercury. So now we told to eliminate fish from our diet! They want us to use energy saving light bulbs but because of the Mercury content this article say`s to shun them. We are being pushed and pulled in every direction and all that is generated is Fear and worry. The page I talk of has the title "What's your Poison" and underneath is a nicely placed black skull and cross bones, they even tell us because of a build-up of these chemicals in our bodies more people in their fifties are coming down with cancer. What a wonderful article to start you day with. Why is this article aimed at the general public, should it not be more directed towards the manufactures to get them to eliminate these chemicals from our food`s . Do not try to tell the single mother at the end of the street with 3-children and low income to eat healthier. Our arms are up our backs and they know it. This article will disappear and another will replace it, all to generate Fear, and in about 2 to 3 years it will reappear just like its predecessors of Fear have done before it. We have over many years repeatedly been told at some time or other that "Everything is bad for us, but at the same time everything is good for us". I noticed the article did not mention Red Meat. 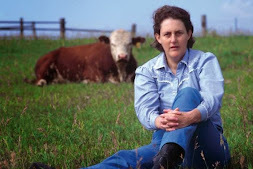 Do you remember how we were told they are inoculated with various serums to guard against diseases and this medicine "COULD" get into our bodies through consumption of the meat, and have a detrimental effect on our health? Why does it matter what we eat or use because if, as the evidence suggests, they are raining Chem Trails down on us on a daily basis, and not for our benefit might I add, then we have no chance. Everything is just utter confusion and fear, a situation like that does not serve the human race, but it serves someone the question is who. Good philosophy comes out on top - "Eat and drink in moderation, and get on with your life". Recently I have expressed concern that there is more to the outbreak of the Ebola virus in Africa than we are lead to believe, after some deep thought and a little research I think I may have stumbled on a prominent link. Firstly I worked from the point of view as indicated by a well know writer, that we should not believe that all films made are for entertainment purposes only, this to me said that hidden messages or warnings were incorporated purposely into our innocent pastime of watching TV, FILMS, or playing console games. These messages or warnings are either to waken us up to an evil agenda by the Elite few or tell us of things to come, dreadful things, things most humans could not accept. In this article I'm going to try to link together a few events in the past and modern film industry, why story lines from yesteryears films have survived to become todays feared serious conspiracy topics, and in the process encourage people to step back and try to see the bigger picture. Starting in 1955 a SI/FI film was produced based on a TV series titled "The Quatermass Experiment. The story tells of 3-astronauts launched into space in a rocket, when the rocket returns there is only 1-astronaut inside. The surviving astronaut has been infected by an Alien organism which, if it releases spores, will engulf and destroy humanity, it soon became evident that the astronaut has been changed by something he encountered in outerspace; he can absorb any living thing he comes into contact with. The astronaut, in his panic, escapes and hides in the London docks, eventually he makes his way to a zoo where he absorbs most of the animals. Soon Quatermass tracks the stricken astronaut to Westminster Abbey where the creature/astronaut is killed by electrocution. If we now go forward in time to 1957, another SI/FI film was produced called Quatermass 2, cutting a long story short our hero in the film Professor Quatermass, becomes interested in reports of meteorites landing in an area known as Winnerden Flats, his friend, Marsh, finds one of the meteorites which cracks open and leaves him injured with a V- shaped mark on his face. Armed guards from what turns out to be a mysterious food processing plant turns up and takes them away, these guards are afflicted with the same V-shaped injury. As the story progresses one of Quatermass team named Broadhead slips away while on a organised tour of the food plant in an attempt to discover what's going on, Quatermass later finds him dying; covered in poisonous "BLACK SLIME" . It is later discovered that the industrial plant is indeed making food, but not for human consumption, instead, its purpose is to provide a suitable environment for Alien creatures inside the plant domes. It is later revealed that the government has also succumbed to this Alien invasion characterised by the "V" shaped injury appearing on government representatives. The ending of the film culminates in our hero firing a rocket at the Asteroid they believe the Aliens are using as a base to stage their invasion, the base is destroyed by a nuclear explosion, as a result the "V" mark disappears from all effected leaving them with no memory of being controlled by Aliens. In 1958, another SI/FI film production called THE BLOB, again we have a meteorite crashing to Earth, and again our hero goes to investigate but an old man gets there first, he proceeds to poke the meteorite with a stick, it breaks open and a small jelly like blob attaches itself to his hand. Anyhow, the Blob spends its time consuming people and getting bigger, eventually it is discovered that the Blob can be subdued by freezing cold, not destroyed, just subdued. The ending of the film has the Blob being airlifted to the Arctic region and parachuted into the frozen waste land. The film ends with a question mark. In 1988 a remake of The Blob was produced, the story was pretty well much the same as the 1956 version, the only difference being that the Blob could reach out with tentacles and could split up and attack multiple times. Certain characteristics featured in the above SI/FI production have today emerged in this modern era as theoretical and serious threats. Firstly let's take a look at Exopolotics UK and David Griffin's marvellous talk concerning the brief Falklands war between Britain and Argentina, he outlined the fact that the Falklands war was also a cover for the British to investigate the Argentine government having a Blue ET base on Thule Island. This base was said to have been destroyed by SBS and SAS commando's, there was though an apparent problem, it is said before the base was destroyed a Black Intelligent Liquid was removed. This liquid was said to have been taken to Marconi communications in the UK, eventually it was believed this Black Intelligent Liquid or Oil was responsible for the deaths of many scientific personnel at Marconi. 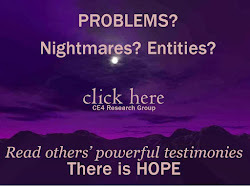 I believe most, if not all, were listed as suicides, whatever the case it was all surrounded in mystery. It only takes a short leap of imagination to connect David Griffin`s Thule Island`s Black fluid to the Black Slime indicated in the film Quatermass 2. The Quatermass Experiment did not indicate any Black liquid as such, but portrayed one of the astronauts bringing back an Alien virus that absorbed anything it came into contact with. It's important to note in those 2-Quatermass films 2- British establishments are shown to be featured in the story line, they were Westminster Abbey and the British Government, this rang a bell with me as I remember reading about a comment by the late Tony Dodd who said in so many words "They most fear the Aliens that look like us, because they could easily get into positions of power." Another point I would like to make is the strange "V" mark injury sustained by the victims in Quatermass 2, where have you heard that before? How about an 80`s TV series called "V" then a more modern film version in later years, this involved an Alien Reptilian Race that used us as food. This can be linked to the astronaut in the Quatermass Experiment who contracted an Alien virus and whatever living organism he touch he absorbed. Same outcome, different stories. Talking of same outcome different stories here is one interesting fact, if we look at the 1955 film The Blob, it is an Intelligent Liquid or Goo story line, but one intriguing point in the conclusion of this and the later 1988 version, was that the Blob was controlled by freezing cold, not killed just subdued. So what? you might say, it's just a story, in most cases you would be right, but if you take the time to listen to David Griffin you will see that the only way they could control the Intelligent Black Substance from Thule Island was with cold conditions. Likewise the Blob in the early film editions was dropped into the Arctic. How strange we have all manner of Alien/ UFO stories from the bottom of the world on Antarctica, from there we have stories of secret diggings restricted areas and Nazi bases. So we have Arctic and Antarctic, are they joined through the Earth as suggested? When I think of secret diggings I think of the famous X-File clip where Mulder is informed of an Alien pathogen left inside the Earth aeons ago, waiting for the return of the Alien race that left it there, then the pathogen will resurface and infect and take control of the human race, we would become "Hosts" or Zombies, strange how Zombie productions are all the go at the moment. I would like to point out that Quatermass 2 that once the Alien base had been destroyed the "V" type injury disappeared from those effected leaving them with no memory of being controlled by Alien`s, again a sort of Zombiefication, and talking of Zombies, in the most recent film World War "Z", the "Virus" word is used yet again. Now either Hollywood and the like are running out of ideas, or someone is determined to keep the word "Virus" alive and in our heads from long ago. World War Z had the Zombie virus breaking out at several locations around the world. When I read that I immediately thought of how Ebola is being encouraged to spread by the incompetence of those in power. Another point of interest in the Quatermass and Blob story line was the involvement of meteorites bringing a virus (Alien entity) to Earth. If you think, over the past few years we have had quite a bit of Comet and Asteroid activity some if not most shrouded in mystery, five that come to mind are Hartley 2, Vesta, Elenin and Ison, with the most recent being 67P/ Churyumov-Gerasimenko. I do not want to get in a long discussion over comets or asteroids, I just want to point out that comets throughout history have been the portent of disaster or prophecy, as in the films Quatermass and the Blob, even though they were not comets, 2-meteorites bought death and fear to Earth , an example came in 2013 on the 15th Feb, when a meteorite exploded over Chelyabinsk causing millions of dollars damage and injuring 1500-people. Some scientists believe that asteroid and meteors could be responsible in spreading life throughout the universe in a process called Panspermia as shown in our 2- SI/FI films. A more astounding but believable theory, if you look at the evidence with an open mind, is that asteroids are not lumps of rock or ice but spacecraft left over from aeons ago, which if so would answer why NASA according to internet sites has paid secret visits to certain asteroids, again wandering spacecraft from a bygone age is not impossible when you look at artefacts being discovered on Mars throughout the solar system. If it's true about the visits then what are they looking for? I personally do not believe all space projects costing millions are purely to study the Cosmos. is what we are seeing now taking place in Africa the beginning of the terraforming process? is the Ebola outbreak an environmental experiment to help the Aliens to adjust to our atmosphere like in Quatermass? are the African people being experimented on? do they intend to wipe most of them out but they have to make it seem like a world wide threat where the place of origin suffers most with millions dying. When we watch the news on TV we only see what they want you to see, they repeat the news clips. How can we trust them? What is really going on in Africa? In education we use repetition to educate, to get things in our heads, just like the word "Virus" is repeated in films and media. Come to think of it, there is a large quantity of SI/FI films that want us to fear something coming from outer space, is it soon to arrive in Africa? But why tell us? Why spend years pushing a probable situation in films and other media? Every time I think of the Blob being subdued by the cold my mind jumps to years later when David Griffin talks of an Intelligent Black Nano Oil or Black Goo substance which was also controlled by the cold. This Goo was alleged to have been removed from Thule Island during the Falklands war. "The crew are forced to return to their ship, but David secretly take a cylinder from the discovered structure while the remaining cylinders begin leaking a "DARK LIQUID". Another line reads:- "He intentionally taints a drink with the "DARK LIQUID"
And then:- "Fifield falls face first into a puddle of "DARK LIQUID"
What is it with this "DARK LIQUID" "GOO" or "OIL" story line? Out of curiosity I asked my wife that if she was to label Ebola with a colour, what colour would she choose?, without pausing she said "BLACK". I asked why? She replied the first letters are EBO as in EBONY and in the dictionary EBONY is hard "BLACK WOOD", and the adj is "DEEP BLACK". One last point, as most may know, the Ebola virus was named after the Ebola river meaning Black River in the local language, it's also interesting to note that in Prometheus when the Alien disintegrated his remains cascaded into a waterfall and caused a Bio-genetic reaction ??? One thing for certain is that whether a Jelly like substance as in the Blob or a Black Liquid as in Quatermass or Dark Liquid in Prometheus and finally David Griffin`s Intelligent Nano-Oil or Black Goo, to me there is a link and a plan and it's been in progress for years. Whoever is in control, could they with events in Africa be bringing their plans to fruition, have the people of Africa in effect "Fallen Face First into a Puddle of Dark Liquid". Just remember this, the Alien in Prometheus had plans to destroy the human race. Did they try once before in history with the "BLACK DEATH" is Ebola and the Black Death just two events in a long line of attempts to wipe out the human race? Also and interesting article in today`s new is that 22,000 patients of a dentist have been recalled for a blood test. The health secretary was briefed on the blood borne virus which the dentist carried. They urged people not to panic ???? But they refuse to give any details of the virus other than its not HIV, I smell a rat, if its nothing to panic over why not give us the details, and why the need to brief the health secretary unless there is potential danger. They are using the fact that in 2012 49,000-people were recalled over hip replacement problem to say there is nothing to worry about, but in today`s Ebola environment one has to wonder. "AT THE TIME OF WRITING, 5000 PEOPLE ARE ESTIMATED AS DYING FROM EBOLA"
If there is such a threat just how much longer can it be kept from the masses? the words of Carol Rosin keep ringing in my head where she quotes Werner Von Braun saying, "The last card will be the Alien card". Amazingly the Alien situation will not go away and appears to be gaining momentum at an alarming rate. What is the truth ? as Von Braun also stated that the hostile Alien scenario was a lie, a false flag, the description of Black Intelligent Goo though does give a picture of utter terror, the thoughts of such an entity creeping upon you while you sleep does not make for a good nights rest. If such a Black Goo exists beneath our feet, then it makes me wonder about some of the noises we here coming from underground, is the invasion under preparation. As stated by an interviewer this Black Goo was seen to come from the ground then re-enter. I cannot help noticing Africa is hogging the news these days. I was drawn to keeping tabs on Africa after Gordon Duff stated in an interview that a certain group of people were looking for areas on Earth that could be terra-formed to support an incoming Alien race and Africa was one of those locations. As I have written previously the Halo game had the bad Aliens called the "COVENANT" set up an invasion base at Mombasa, which is on the east coast of "KENYA", the reason I mention the X-Box game Halo is that it was said on Veterans Today that we should not believe that the films we watch are for entertainment purposes only. In other words, to me, this means these films may be indicating future events. You only have to think of the film "DISTRICT 9" to see where I`m coming from, and with that I also presume they mean any form of entertainment games included. Now KENYA, according to the map, is directly opposite NIGERIA on the west coast and NIGERIA is where the Ebola virus is. In KENYA, in 2013 we had the West Gate Shopping Mall terrorist attack in NAIROBI, then more recently in NIGERIA we had the massive church building collapse, killing many unfortunate people, the problem is that the collapse of the church had the hallmarks of the BUILDING -7 collapse of 9/11. If you draw a line from KENYA to NIGERIA you effectively separate northern Africa from southern Africa. Ebola and terrorism at these 2-points make me suspicious. Also in North Africa we have the troubles in Libya, Egypt, and in other states over the past few years, you could say northern Africa is a very troubled area, we can establish that fact without any doubt. What is the cause of this turmoil? Is Africa as indicated by Gordon Duff being terra-formed to accommodate an incoming Alien race? Something akin to Battle Star Galactic (there`s one of those productions again, entertainment or real). Nelson Mandela`s funeral was purported to be a cover for the return of Marduk , Marduk is supposedly Annunaki, a Luciferian Demon Being, the Annunaki they say were either killed or driven away during the Great Flood and they started a come back to Earth in the 20th century. It is said that Nelson Mandela died months earlier than the date of his funeral, and as I have stated this was supposedly a cover story for Marduk the Alien ET`s return to be crowned king of Africa, and has most heads of state from around the world attended it was thought this gathering was to welcome back Marduk. Three countries did not send representatives they were Russia, China and Israel, two of those countries Russia and China it has been said have contact with their own Alien friends, perhaps these Aliens oppose Marduk. In June of 2013 a mysterious and controversial trip was undertaken by the last 3-American presidents to Africa, it is rumoured they all met up together, the reason unknown, I could speculate but I will leave that to the reader. But think about this, during their visits, between them they went to Senegal - northern Africa, Ghana - northern Africa, then Tanzania and Zambia - southern Africa, again, two destinations, in as I call it, the "Zone of Turmoil". Marduk is alleged to have returned by spacecraft, I ask when did this happen? A couple of years ago we had the controversy surrounding a number of comets and the fact than some may not be comets or asteroids but spacecraft, spacecraft left over from aeons ago doomed to travel in an orbital prison for many years until something or someone stop`s them, could Marduk have been aboard one of these craft? Did NASA, as alleged, secretly pay a visit to one of these heavenly bodies, namely the asteroid VESTA, if so, what for why the secrecy? There is even an asteroid called 1428 MOMBASA, in 1998 it was predicted to pass over parts of Europe namely France Spain and West Africa, but new calculations were disappointing for Europeans, the path shifted across the Atlantic and the only continent it hit (passed over) was Antarctica. This I found strange considering Antarctica`s affinity with all manner of UFO stories . I have just heard on the TV news that NIGERIA could be free of the EBOLA disease (yet to be confirmed), I'm getting a suspicious feeling about this. I recently posed the Ebola question to my son, he replied to me saying "I have been racking my brains all day and the only conclusion I can come up with is that this is an "Allowed" strain of Alien virus to see how compatible we are for the incoming Aliens, or the vaccine should one exist or be introduced could enable the human to be compatible with Alien DNA, this is an experiment more so than an extermination programme." Then today 20th October as I was mulling over my sons theory I came across a posting on Project Camelot, sent to them by a source in Africa. The site stated that something is killing scores of people here, there are bodies in the streets and in the waterways, but they had not seen one photo of EBOLA blistering`s, people just seem to be dying from Dysentery, Cholera type symptoms. The source also added that they wondered if a Stargate had opened up, or the ALDEBARANS were moving in and locking things down so they can gain access and set up. The site also had a small video posted which indicates that FORMALDEYDE can cause EBOLA type symptoms. Advanced technology has been offered to help the fight against EBOLA, a company by the name of ADAMUS has offered the use of one of their advanced airships, apparently these craft can cover 500-miles a day and also stay aloft for days on end, and they can spot the Ebola virus from 4000-foot and locate unburied dead as well. I find it strange, we are told Aliens want AFRICA to repopulate with Alien/ Human Hybrids and pretty soon we could have airships out there that could be mistaken as UFO`s. We are also told that these airships cannot be bought down by missile or gun fires, and more to the mystery Gordon Duff said on a recent radio interview that we have airships with anti-gravity systems built in, and are powered by 2-jet engines. Does this type of craft belong to the ADAMUS corporation? If EBOLA has been defeated in NIGERIA then what has happened, according to the media we should be living in fear, or is this a lull in the storm? Will it explode into a world-wide plague? Is it not EBOLA but something else introduced for an ALIEN agenda? Are the coming and goings of ASTEROIDS and COMETS really spacecraft? Do our elite whom have money and power know the true history of our world? And with that knowledge have they been manipulating events on EARTH and now we are seeing part of it played out in Africa? 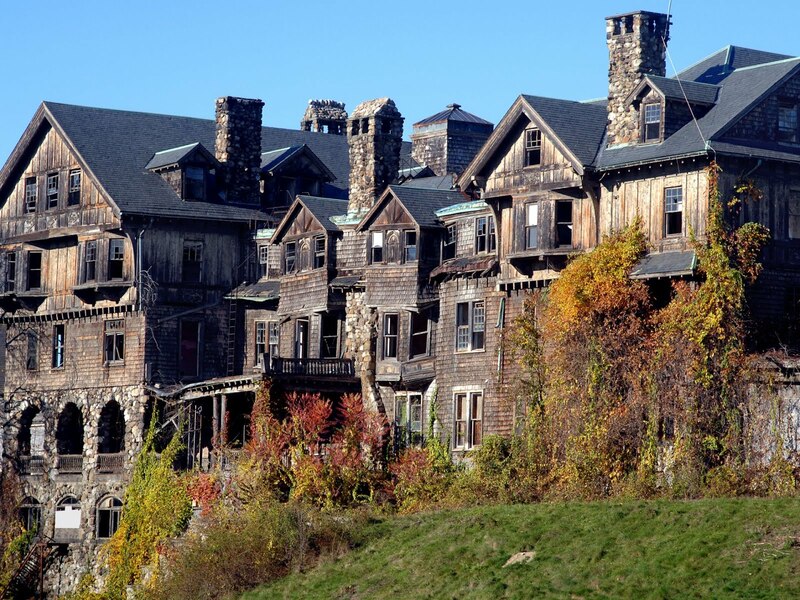 Are they making a home for some VISITORS? There are many stories and mysteries that can be woven into the fabric of the AFRICAN/EBOLA, story but without doubt AFRICA is firmly in the news , for me there is a massive cloud of suspicion suspended over the events of past and present in AFRICA. Is EBOLA for real or is it a cover? A classic statement from residents in Somerset UK who are blaming blood sports for large numbers of cats that have gone missing without trace. "Twenty Five cats in the area have gone missing, and that is just in the past three to four weeks. We think the cats are being stolen. There was once incident recently where a couple were seen trying to put a cat in a bag. As soon as they were disturbed they dropped the cat and ran off. I think the cats are possibly being used for blood sports. There has been too many missing over recent weeks for it to be a coincidence." Residents fear the animals are being used for cat coursing, when animals are used to train dogs to attack wildlife. 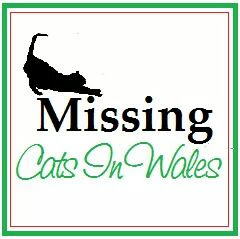 A Facebook campaign has now been set up to find the missing cats and prevent others from disappearing and to post about the latest felines that have disappeared. If anyone has tried to catch a cat that doesn't want to be caught they know how difficult this can be. Try catching a cat while keeping the whole episode silent and hidden from the public is almost impossible. And why is this happening all over the UK? "I would love to go out (with permission of the police) and see how many cats I could abduct without being caught or drawing attention to myself. I think I would be very lucky to catch one let alone 10.The comment above about a couple seen trying to get a cat in a bag seems like a cover story to calm the public and make them think human cause.Its very much like a story put out a few years back where someone said they saw a man walking the streets at night with a net on a pole. These stories keep us looking at humans as the cause, they stand out to me as pathetic and far fetched. 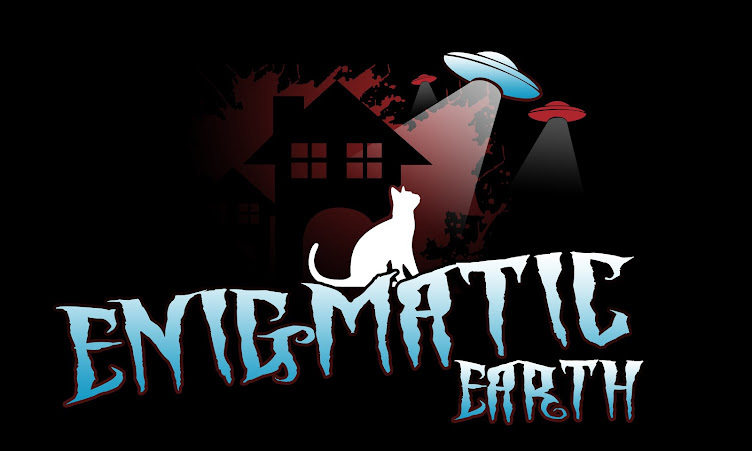 Even though humans can be very cruel, so many missing cats can only have paranormal cause." "A MAN who believes he saw a deadly cobra crossing a footpath outside Queen Victoria Hospital fears recent cases of missing cats could be linked to the reptile." This is the statement made by a resident who inadvertently bent closer to the dangerous snake for a better look and then decided to grab the tail to see its markings. When the snake reared up and “spread what looked like a hood” around its head he suddenly panicked and stood stock still. He didn't think that the snake was dangerous because it was in Britain. He said: "I’m just worried because there have been a lot of missing cat posters up in this area recently and I’m thinking maybe they have been dinner for this snake. And I haven’t seen any rats or mice recently either thinking about it." A prominent snake enthusiast has offered to help hunt down the snake to identify it. He added that "fear of the snake eating local cats, which have been reported missing, is very unlikely, as king cobras tend to eat other snakes and small rodents like rats and mice." 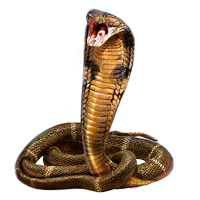 The fact is if a cobra could kill and eat a cat it would not want to eat again for couple of weeks so that does not account for the high numbers of missing cats. 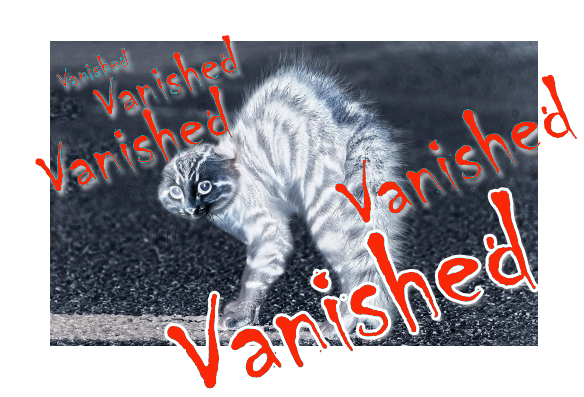 Although a large number of people will believe that the reptile is entirely responsible for the local missing pets the newspaper article actually acknowledges that Grinstead UK is another city experiencing an explosion of cats that have vanished without bodies - a phenomena experienced in many parts of the world. So where are our cats?